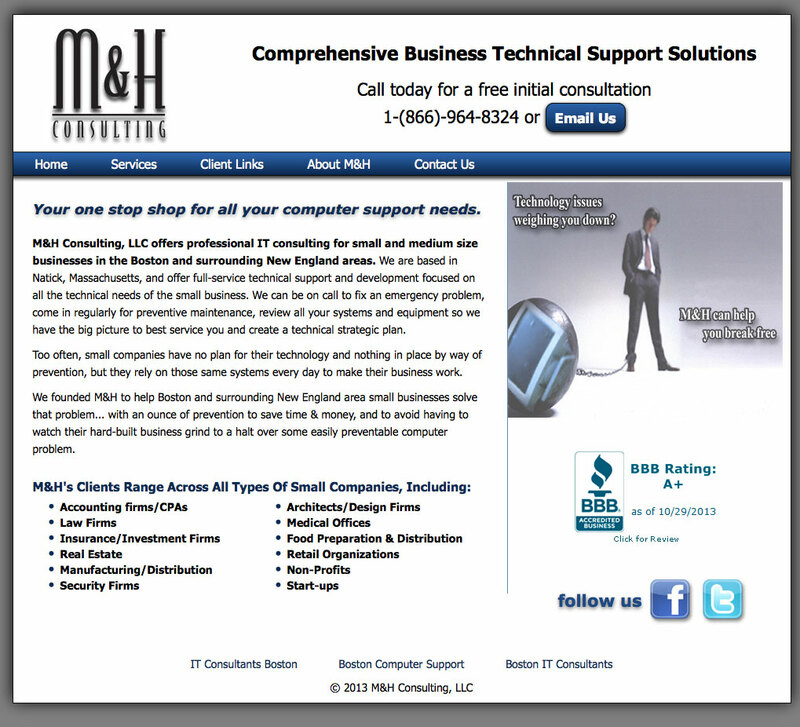 M&H Consulting contacted us because they were unhappy with the number of leads they were getting online from their website. We met with them to discuss their goals and came up with a customized solution that included a website redesign, search engine optimization and Google Adwords. As an IT company, we felt we could easily create and maintain our own website, as well as set up and sustain our own search engine optimization. While our own design and SEO was serviceable for a few years, after using GetReady Web Marketing’s services, it has become clear to us that we were missing out on possible revenue. While maintaining our own site, we would receive 2-3 calls via Google per year, and since using GetReady Web Marketing we have received 4 calls in the first 2 months. This is over a ten fold fold increase in our previous web traffic, and clearly makes it worth the investment. Thank you to GetReady Web Marketing for a job well done!